Find out about eligibility requirements, benefits of participation and the schedule of our free nonprofit workplace survey. 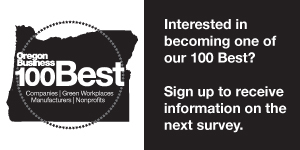 Congratulations to the 2018 100 Best Nonprofits to Work For in Oregon! Do you want to work for one of the best nonprofits in Oregon? Here's a list of the best 100.